Calling all hep C peers! 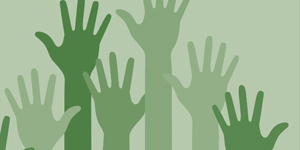 Hepatitis NSW has an exciting opportunity for people with lived experience of hep C to get paid for helping to make hep C history. Our health information and treatment access program, Live Hep C Free, is looking for peers to join our growing team of casual staff. All you need is lived experience of hep C, good people skills, and enthusiasm for encouraging people to get tested and get cured of hep C. Your experience is expertise. You’ll be working with nurses and doctors at various locations around Sydney such as methadone clinics, homelessness services, residential rehabs, and community health centres. The positions are well-paid, well-trained, and will play a vital role in ending hep C in Australia by 2028. It was a cold and rainy day, but the weather did not dampen the spirits of the 25 Hepatitis NSW staff members and volunteers who took part in the Darling Harbour Chinese New Year Dragon Boat Festival. 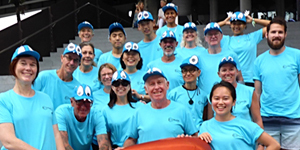 Aiming to promote hepatitis B awareness in a fun and friendly way at Lunar New Year, Hepatitis NSW raced under the team name “Heppy Dragons” at Darling Harbour. The team’s bright blue shirts and dragon hats attracted the attention of spectators at the festival, with many complimenting the team on their zany and memorable style. The team competed against other charity teams, including Cancer Council NSW, Chinese Parents Association – Children with Disabilities, and Lupus Troopers. Each 200m race was completed in around one minute, with paddlers huffing and puffing by the end. The Heppy Dragons tried their best to fight till the end, but sadly, luck was not on their side that day. Despite coming last, the team ended the day with cheerful smiles on their faces. Hepatitis B is especially prevalent in Chinese communities. 6-8% of Chinese people are living with hepatitis B, yet many are not aware of their status. In the year of the Dog, we wish good health to all our community members, and encourage everyone to get a free hep B test. Don’t forget to ask your GP about hep B, get a hep B test for free, and, if you do have hep B, it’s very important you have tests at least every year to monitor your liver health. 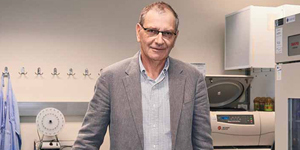 It is with great sadness that Hepatitis NSW mourns the passing of Professor David Cooper on Sunday 18 March. David died in St Vincent’s Hospital after a short illness. His family was with him. As Director of the Kirby Institute at UNSW, Professor Cooper’s contributions to communities affected by HIV and other infectious diseases around the world and in Australia were extraordinary. Ever thought about having family fun, health tests, dancing, and free food in one location? We had all this and more, at Family Fun Day on Saturday 3rd March at Matthew Pearce Public School. Partnering with The Hills Chinese School on a project that started in late 2017, Hepatitis NSW held a Family Fun Day to promote hepatitis B awareness in the Chinese community. Other project partners included Australia New Media Express, Hepatitis B Free, Westmead Hospital, Wentwest PHN, and The Hills Chinese Association. Over 100 Chinese families attended Family Fun Day, taking part in activities such as a hep B knowledge scavenger hunt, dancing, painting, a barbecue lunch, and yoga. Those who were interested received a free fibroscan, doctor’s consultation, and hep B rapid testing. Many attendees commented on what a great opportunity this was and said they’d like to take part in similar events. Alongside the many activities, O’Liver – Hepatitis NSW’s popular liver mascot – was the star attraction. Dancing with participants and high-fiving as he walked through the crowd, there is little doubt that O’Liver stole the show with his charisma. It was a day filled with laughter and fun, and most importantly, participants went away with better knowledge on hepatitis B. If you would like to organise a similar event for your community, or would like to participate in future Fun Days, please contact Win Yee: 02 8217 7726.